Every serious athlete knows that it’s important to take rest days when you’re training for a big race. These recovery days let your mind and body recuperate, heal, and recharge before your next hard session. Active recovery is any easy to moderate exercise that can help get your blood flowing to your muscles to help them recover. You can choose to do a light run with a shorter distance and lower intensity or you can choose from a number of other active recovery strategies. The idea with active recovery is that it will help your body recover better than just rest alone. The amount of exercise that is considered a ‘light workout’ needs to be appropriate for your particular fitness level. If you are a couch-to-5K warrior who is just starting your training, a brisk walk or hike would be perfectly adequate to get your blood flowing and help your body recharge. On the other hand, a regular marathon runner, might jog an easy 2-3 miles on their active recovery day. Overall, you should feel better after your workout than you did beforehand. If you feel worse, than you likely pushed too hard. Why Does Active Recovery Help So Much? Active recovery helps promote the blood flow to your sore muscles and joints. Waste products from muscle breakdown can be carried away while fresh blood can deliver nutrients and warmth. This action helps repair and rebuild the tiny micro-tears in your muscles after a strenuous workout. Depending on the source, some people consider only light exercise to be ‘active recovery’ while other sources would include things like massage and foam rolling. Regardless of how you define it, active recovery, or promoting that blood flow is great for your body. A study in the Journal of Athletic Training found that active recovery (light exercise) did a better job of reducing lactic acid build up in muscles when compared to sports massage or plain resting. Better recovery means a better performance next time it counts. Try out some of these active recovery methods to help your body heal on your non-training days. Foam Rolling – We are a HUGE fan of foam rolling because it is a great way to do self-massage. The technical name for this technique is self-myofascial release (SMR). SMR can be done with a foam roller, lacrosse ball, or massage stick. 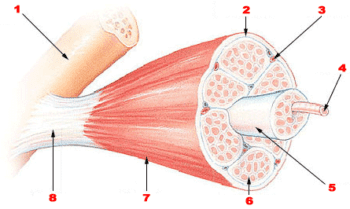 Roll out your muscles concentrating on all of the major muscle groups for at least 30 seconds. Spend extra time rolling out any particularly sore areas. Walking– Use your treadmill to go for an easy walk. This is not the time to crank up the incline and speed. Just let your body relax, get your blood flowing, and remember that this is a ‘recovery’ day. If you have a machine with interactive virtual display, this would be a great time to try a new virtual course through a fun international location. Or you can turn on your TV and enjoy a show while you walk. You should feel relaxed and rejuvenated afterwards, not exhausted. Light Weight Lifting – Strength training is a vital component to any exercise plan. It allows you to focus on weak areas of your body to provide core support and can even improve your running stride. Very light weight lifting can also be used as a form of active recovery. Just remember not to overdo it. Swimming – The fantastic thing about swimming is the pure weightlessness of the activity. Go for a relaxing swim to loosen up your muscles and get your blood moving. Elliptical Training – Ellipticals provide another great way to get a low-impact exercise session in. You’re often working harder than you realize on an elliptical because they provide a lower perceived rate of exercise. So, remember to take it easy. Cycling – Cycling is another great low-impact aerobic activity. Be sure to match the cycling workout to your current fitness level. Yoga – Holding yoga poses and flowing through the motions is an effective way to get your heart pumping blood to all of those muscles in need of repair. It’s a wonderful form of active recovery. Using the principles of active recovery, you can help heal your muscles faster and avoid some lingering soreness. Just remember to be smart. If you are feeling really run down, a day of passive recovery may be just the ticket. If you are feeling pain that does not go away after recovery days, you may have an injury that needs medical attention. Read why chocolate milk makes a great post workout recovery drink! What breakfast foods will help you get the best start to your day?